Today a young woman’s first period is usually something very private, something to be discreet about. 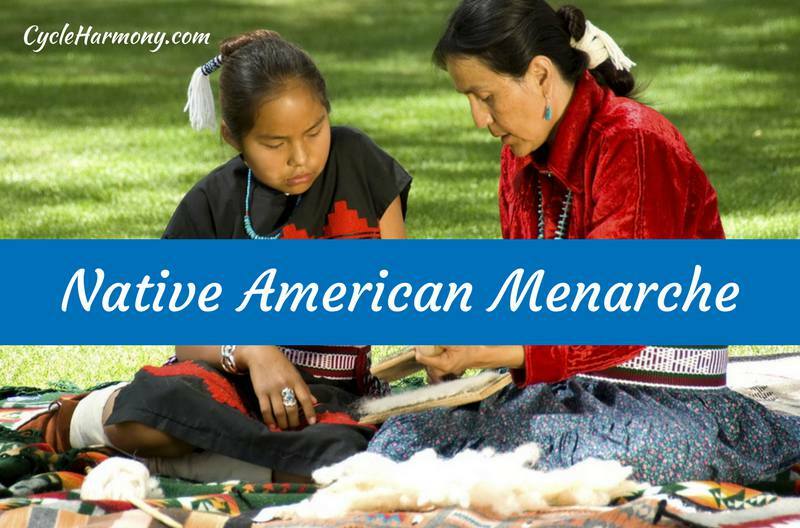 On the contrary, menarche is a time of honor and celebration in many Native American Cultures. In today’s American culture, the onset of menstruation in young women has lost most of the luster it once carried. Why don’t we celebrate this miraculous entrance into womanhood? Would a real celebration of this important threshold change how we view and experience our menstruation later in life? Before you attempt to answer that, here’s a brief lesson on how and why some Native American cultures consider menarche (the first occurrence of menstruation) to be an experience that is to be honored, treasured and celebrated. Symbolic dances, cleansing rituals, physical activities such as racing, and a special cake called “alkaan” are among some of the blessed rituals experienced during a girl’s Kinaalda celebration. The festivities are supposed to symbolize a physical and spiritual closeness to Mother Nature, and a young girl’s transformation into the very image of Mother Nature. What a fabulous way to think of a young woman’s first period. A woman is, after all, is created to be bountiful and fertile just like the Mother Earth. So the symbolism of Kinaalda is very fitting indeed. The Apache tribes have a similar celebration called the “Sunrise Ceremony” that consists of many similar activities and rituals that signify a young girl entering into womanhood. The young girls are showered with attention while other members of the tribe sing, pray and dance almost non-stop during the four-day celebration. Afterwards, the young women are not only given a renewed confidence and heightened sense of self, but also the significant recognition that they have just passed into a new role in their lives – that of wives and mothers to be. Many other Native American tribes celebrate in a similar manner each time one of their own crosses the bridge into womanhood with their first menstruation. To them, becoming a woman is an honor, something sacred, a privilege and something to truly cherish and commemorate. In contemporary American culture, most of these positive associations are lost. Today a young woman’s first period is usually something very private, something to be discreet about, and that’s unfortunate. Though it may not be realistic for us to spend several days celebrating each young girl’s passage into womanhood, perhaps we could borrow some of the Native American’s respect and excitement for this important time in a young woman’s life. Maybe even adopt a few of the Native Americans’ practices, or make up a few of our own. The idea is to recognize and honor what an important step the first menstruation is for a young woman – to enter into womanhood, and to embrace, enjoy and celebrate what truly means to be a woman. In Sri lanka mensruating women are barred from the rice(paddy)threshing floor as they are considered dirty.I find these customs primitive and have no place in modern society,but this is a individual private affair that the family decides.My question is genital mutilation in tribal societies acceptable? Hell no.